Riudavets has its roots in the Menorcan countryside (Spain) where José Riudavets Pons, a farmer worker on the estate, decided to move to the town of Alaior during the 1920s, founding his own workshop there in 1929. A few years later he opened a small shop in his house where he combined the manufacture and sale of shoes. Riudavets has marketed these typical, rustic shoes called avarcas over the past 80 years. Its products are renowned for their calibre – only the highest standard materials are used – without ever forgetting the importance of comfort. Today, we’re a long way from the farmworker’s shoe store. In its third generation, Amalio Riudavets stands at the helm. 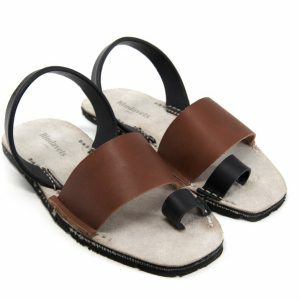 He attempts to strike that tricky balance between respecting decades of history, while taking his grandfather’s sandals into a global market . 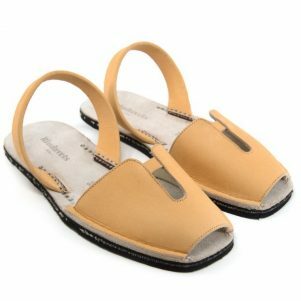 The avarcas sandals evolved, yes. But they’re still made in Spain. 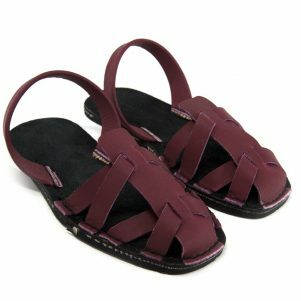 And the traditional, rustic-style sandals are still the most popular avarcas in the collection. It seems that however far Riudavets’ albarcas travel, they’ll always remember their humble, countryside roots.